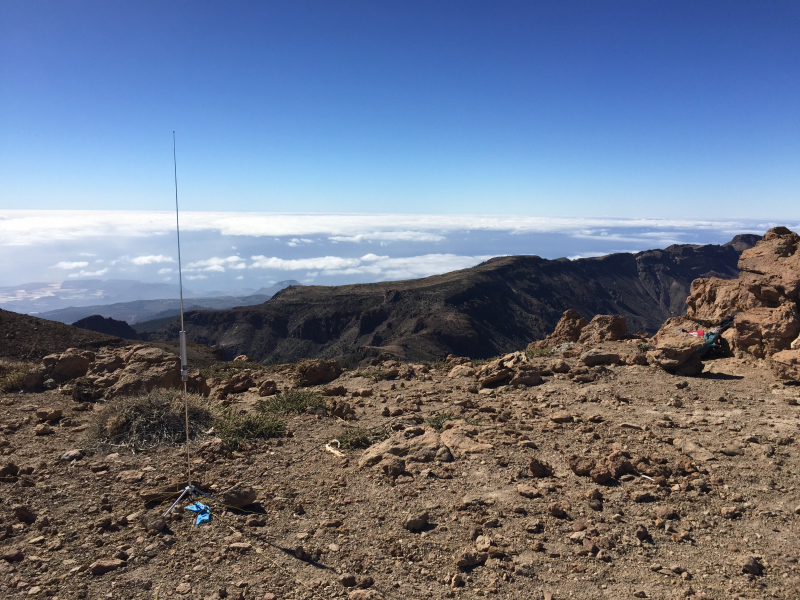 On the 18th of January I activated Tenerife’s second SOTA summit of Guajara (EA8/TF-002, 10 points + 3 winter bonus points) which is 2,715m above sea level. This is quite a height difference when you start from sea level! The drive up, from my hotel near Los Cristianos, was beautiful and obviously all up hill. The drive takes you through some mountain villages and roads which match! 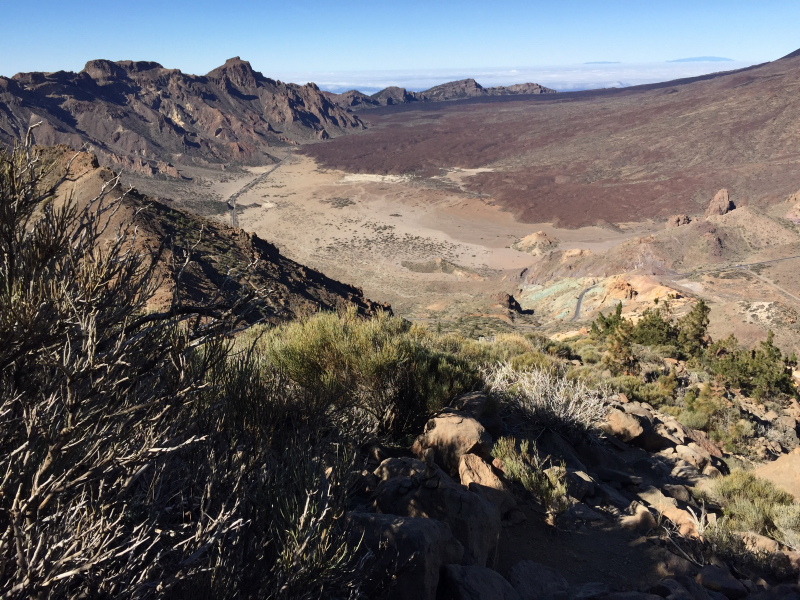 Eventually you end up entering the El Teide National Park which Guajara is within. 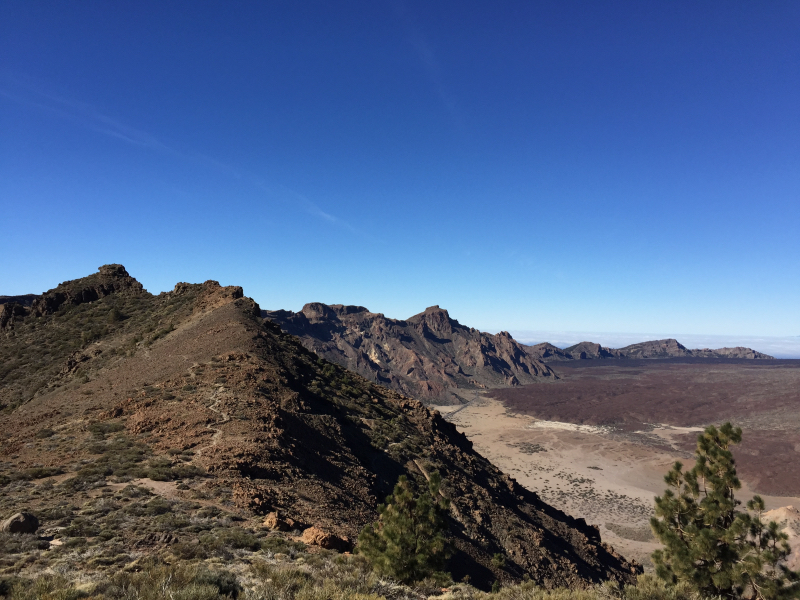 Both of the Tenerife’s SOTA summits are right next to each other and Guajara offers unparallelled views onto its bigger brother El Teide, which is 1km taller at 3,715m! 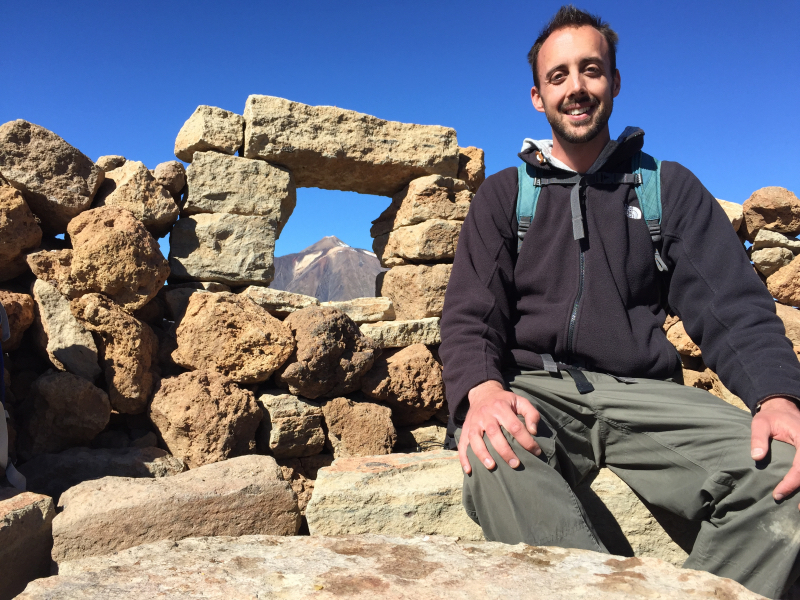 I started from the car park at the base of Guajara which has a nice cafe. 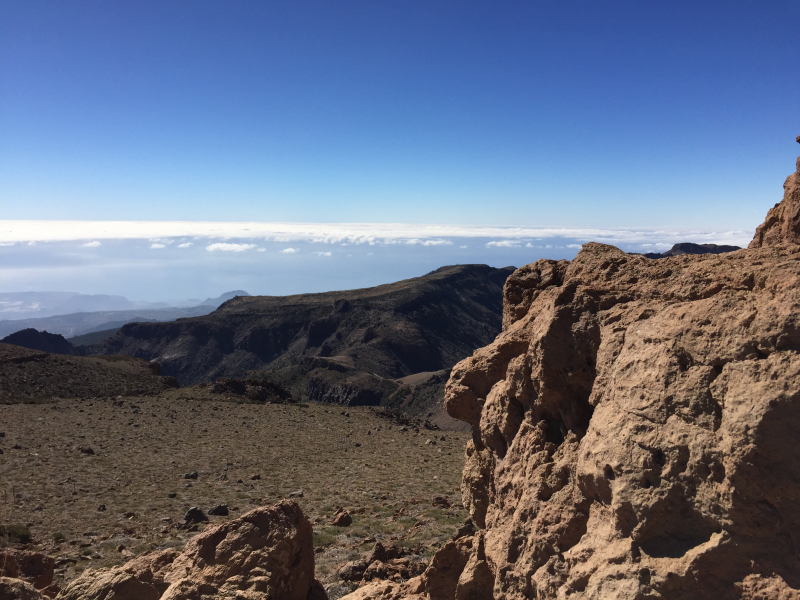 My honest mistake here was lack of proper planning, I did the walk based on the marked path on my GPS and not in conjunction with walking maps, which I had used on the other Canary Islands. I followed the Sendaro 31 path up, which in my experience was not for the fainthearted and seemed to have had a recent landslide, I would strongly recommend you don’t take this path and instead follow Sendaro 4 (yellow path marker), which will take you around the other side of the mountain and then a short final ascent up to the summit. 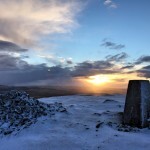 Once I finally reached the summit you are met by a summit cairn which has a book you can sign. 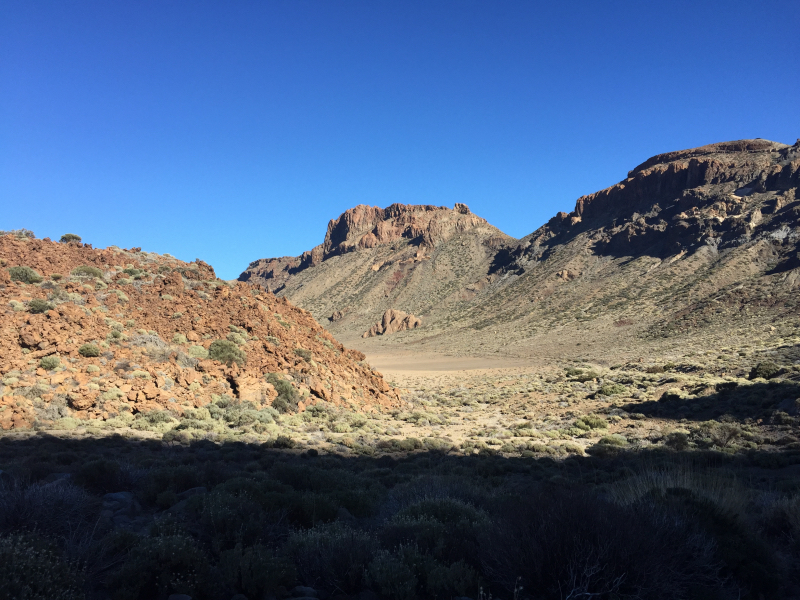 You are also met with a fair amount of other walkers, which after taking an isolated path for 3 hours was a surprise and looking around I quickly realised I had taken a much harder path then the others here! 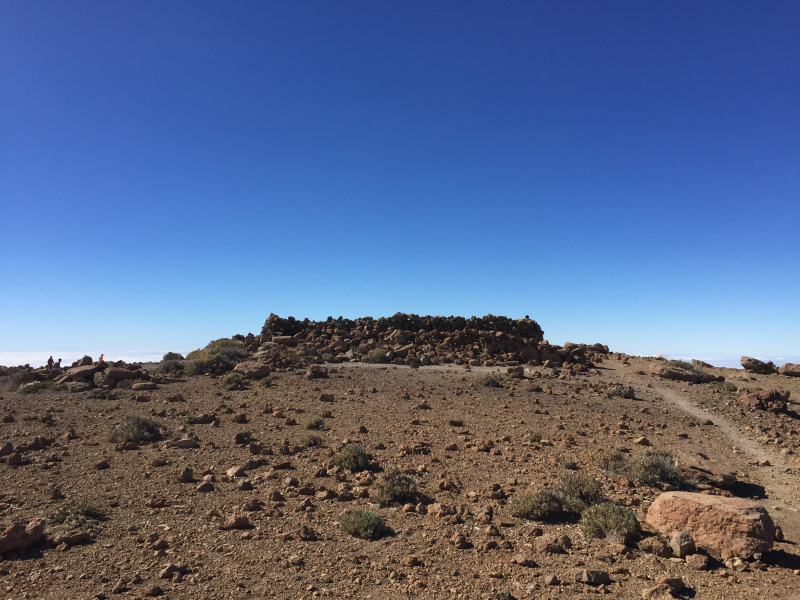 I setup about 20m away from the busy Cairn, on the relatively flat summit, so that I wouldn’t annoy the many walkers admiring the grand views of El Teide opposite and vice versa! I found a rock to hunker down behind to get out of the worst of the wind. 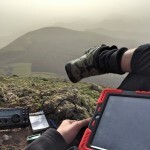 I started the activation on the 10m band which had been consistently good throughout my time in the Canary Islands. I spotted myself using the SMS spot service and the chasers quickly came flooding in. Mike (G6TUH) is pretty good at being the first in my log and he did it again on this one! 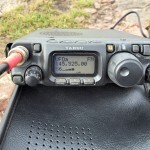 I worked many G and EU stations with VE1WT calling in for good measure. 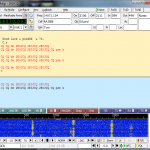 After the pile up died down on 10m I moved down to 15m, which brought a few more EU & NA stations, but to be honest considering it was a Saturday and I was on a 10 point summit I was surprised by the lack of callers. 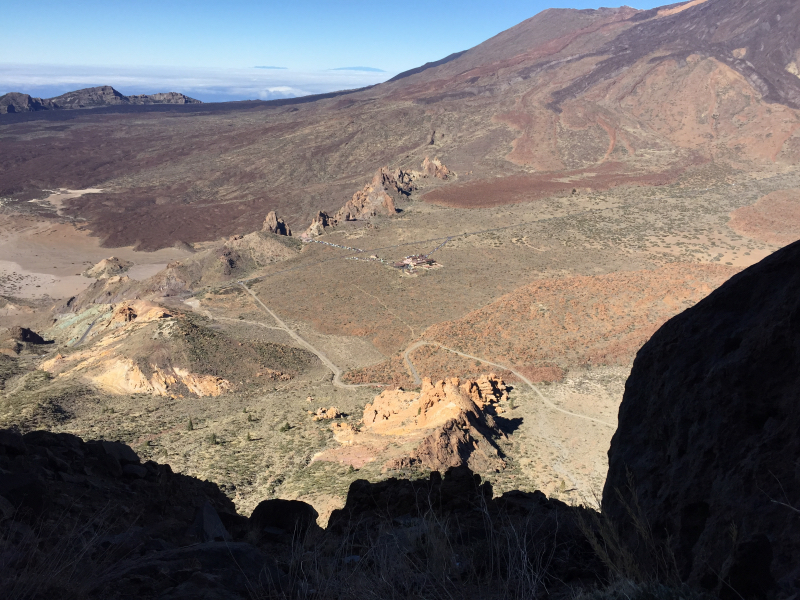 I suspect the very nearby El Teide mountain, which was another 1 km taller than Guajara, prevented the Vertical antenna from having the best low angle takeoff possible, blocking takeoff into certain parts of Europe. This is one activation that will remain in my memory for a long time, mostly for the wrong reasons, but also because of the stunning scenery encountered when I wasn’t worried about falling off the mountain! I descended using the Sendaro 4 (yellow) path and this was much, much easier than Sendaro 31 and to be honest is more scenic. 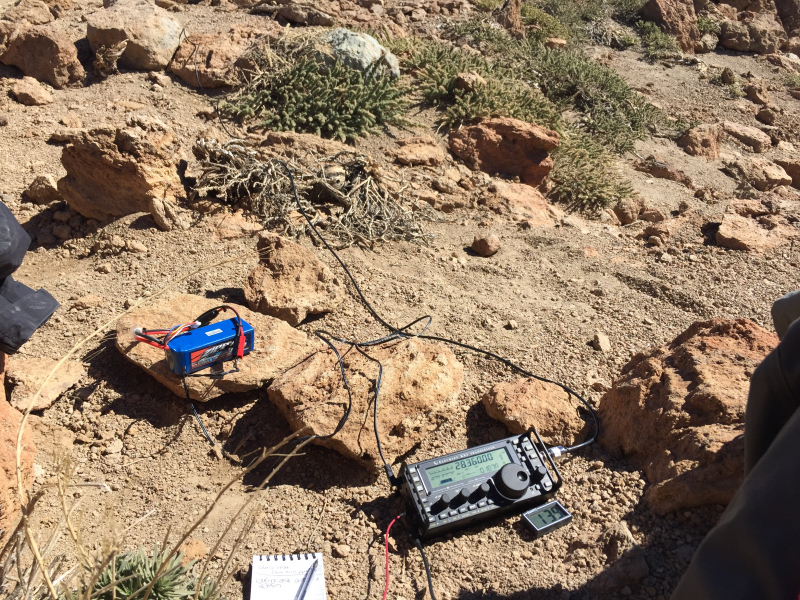 I did redo this activation two days later and the amount of QSO’s was about the same, although I dabbled in a bit of 10m AM and FM operation as well as the usual SSB. 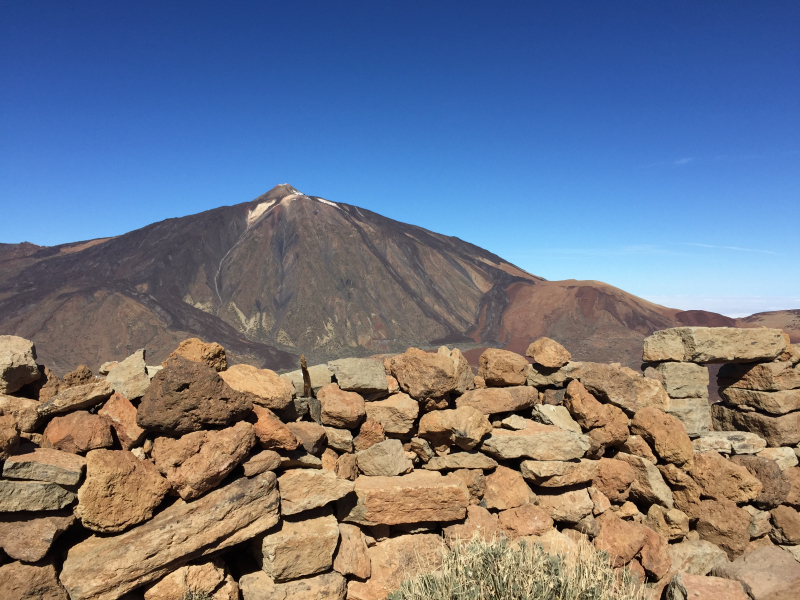 I highly recommend this summit, just take my word for it and follow the Sendaro 4 path up!